The Edward F. Simms Library is the hub of the Sayre community, providing for the social and academic needs of all students, faculty, and parents. 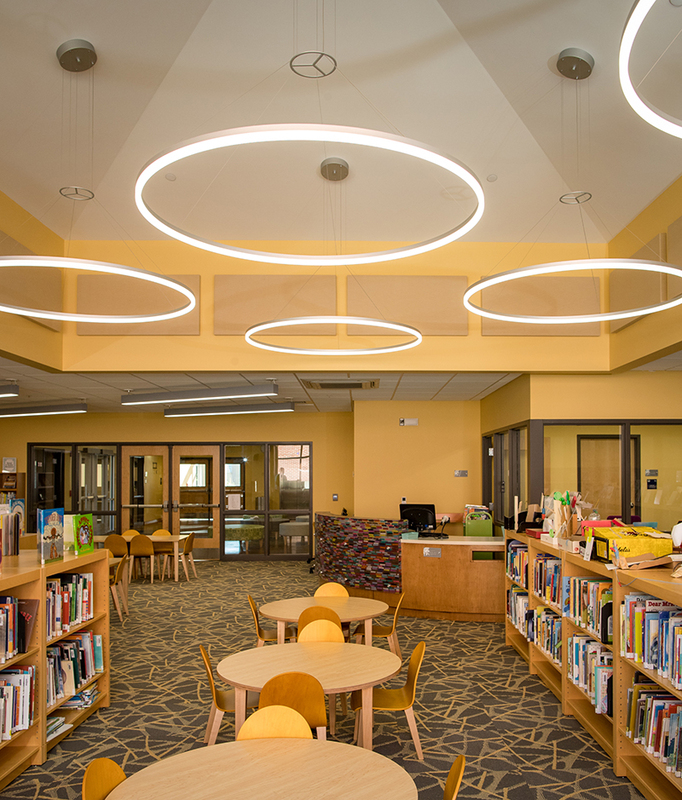 The library provides engaging and relevant services, materials, and programs to meet the diverse needs of the Sayre community. With over 20,000 non-fiction and fiction books (picture books, early readers, graphic novels and manga, audiobooks, and chapter books), and DVDs, we have something to meet each individual's interests and reading level. In addition, we subscribe to over 50 online databases to support Sayre's rigorous research curriculum. Our mission is to support students and staff in the pursuit of effective technology use and integration and information literacy skills (locating, evaluating, using, and sharing information). We strive to ensure that everyone at Sayre has access to age-appropriate materials, activities, and programs that will foster a lifelong passion for personal growth and learning. We strongly support diversity in our teaching and learning approaches, as well as in our collection development process. We believe books should act as both mirrors of ourselves and windows to worlds, people, backgrounds, and experiences that differ from our own. "The American Library Association affirms that all libraries are forums for information and ideas, and that the following basic policies should guide their services.